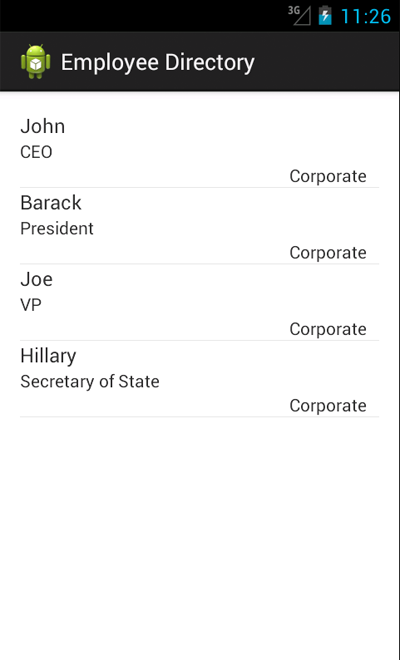 Continuing with the mobile employee directory example, I’ve added the detail activity. 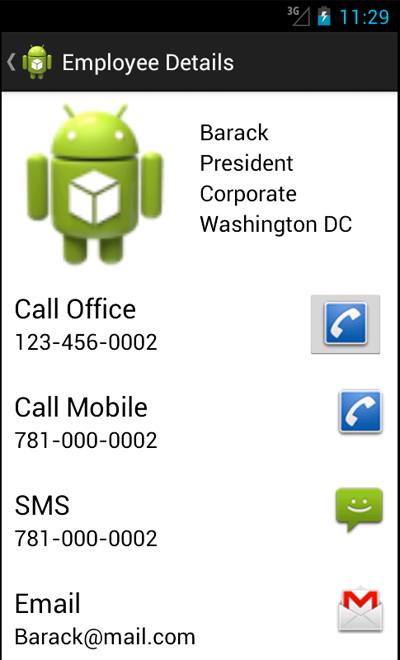 //	PURPOSE: Learning how to build an Android App. // query the database and return a cursor of employees. // This is called when the Home (Up) button is pressed in the Action Bar. until now I have not found a tutorial as useful as this one, waiting for the other tutorial in the future from you sir.